"A junior counsel in the ascendancy, who is super hard-working and who engineers fantastic results." Kyra specialises in financial remedies, cohabitation disputes, private law children work, nuptial agreements and jurisdiction disputes. She appears regularly in the High Court and has appeared in the Court of Appeal, being led by other members of chambers as well as appearing on her own. 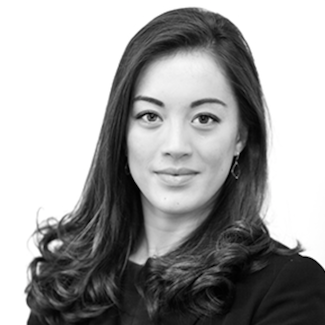 She advises clients nationally and internationally, from jurisdictions including the Cayman Islands, Singapore, Hong Kong and France. Her financial practice includes cases with international elements, recently representing the wife in a particularly difficult Part III claim, cases involving complex trust and company structures, issues of serious non-disclosure and cases involving nuptial agreements. Her children practice includes cases involving the most serious allegations against parents, protracted and intractable contact disputes, relocation cases and matters involving children travelling abroad for contact. MA v SK  EWHC 887 (Fam) - a Part III claim with serious issues of non-disclosure. Joy v Joy  EWHC 455 (Fam) – an application for delivery up of a 1938 Bentley. Joy v Joy  EWCA Civ 520 - the hearing of a stay application in respect of delivery up of the Bentley. Kyra is currently contributing to the latest version of Rayden and Jackson on Divorce and Matrimonial Matters. Kyra is very interested in ballet and music, singing on occasion in a choir run by Nicholas Yates. She enjoys travelling and the great outdoors, currently putting her efforts into learning to ski. She speaks conversational French and basic German.